We seek a part-time writer to complete writing projects. Types of projects range from books to educational manuals to web content. Topics include business, personal finance, real estate, memoirs, inspirational stories, and occasionally spirituality. 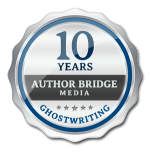 We have a book writing certification program, so you may have the opportunity to be trained in our book writing style. The work includes organizing material, writing original material, revising existing text, and other editorial tasks. The writing styles vary, ranging from conversational to professional. The writing work is a steady flow -- maybe 10 to 15 hours a week -- sometimes more. This has the long-term potential to turn into a full-time job or partnership, depending on your skills and progression. You have book writing, journalism and/or professional writing experience, or a degree in journalism or writing. You enjoy writing in a variety of voices. You also like learning new techniques and catch on quickly to feedback. You are not yearning for bylines or to see your name in print; steady work is more important. You are available to work during the day, but have a flexible schedule. You are not set on time, but are a stickler for deadlines. You appreciate the opportunity to work from your home office, but enjoy in-person meetings every few weeks. You are based in San Diego, CA. If this is you, please send a cover letter, resume and 3 writing samples or links to your writing samples to human-resources@authorbridgemedia.com. Strong candidates will be asked to take a writing test, followed by interviews. Get free tips to gain credibility, increase revenue and activate inspiration.